Strata Environmental was established almost twenty-five years ago by Charles Ferst P.E. and an experienced team of senior engineers and scientists. The consultancy includes services in regulatory compliance and permitting, environmental due diligence, multimedia environmental investigations, engineering applications and solutions in water and air, and remedial design and project management for a wide range of environmental cleanups. The Strata Environmental practice functions on an approach where every project team is led by a principal, and is staffed by the same senior staff from project onset to completion. Charles Ferst is the founder and CEO of Strata Environmental. 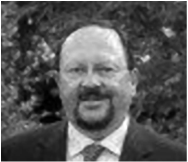 Mr. Ferst has an accomplished 35-year plus record of environmental engineering, consulting, and project management experience with the U.S. EPA, the Department of Interior, and in private practice. He has provided consultant and management services on diverse projects, including hazardous waste monitoring, environmental compliance management, permitting, regulatory analysis and support, soil/groundwater investigations, RCRA and CERCLA corrective actions, Phase I environmental assessments, environmental adviser to real estate development teams and air emissions evaluation and control. Following Mr. Ferst's career at the EPA and Office of Surface Mining, Mr. Ferst was a leading pioneer in the early development of environmental auditing and Phase I protocols and processes. He has a Bachelor’s Degree in Civil Engineering, and is a licensed Professional Engineer in Wisconsin. Greg Jernigan has a postgraduate degree in Geology and is a licensed Professional Geologist in the State of Tennessee. Mr. Jernigan is the Past Chairman of the Board of Advisors to the Department of Geological Sciences at the University of Tennessee, and has more than 28 years technical and managerial experience in geological sciences and environmental consulting. He leads the Environmental Services Group where he manages environmental compliance out-source services and business elements pertaining to CWA, CAA, and SARA compliance. Under Mr. Jernigan’s leadership, the Group has conducted hundreds of successful environmental due diligence audits for more than $5 billion in mergers and acquisitions. Kevin Parr has a postgraduate degree in Civil Engineering, and is a licensed Professional Engineer in Tennessee and 17 other states. Mr. Parr has more than 20 years experience performing and managing multi-site, Phase I environmental assessments, developing environmental databases and software, conducting groundwater data analysis, underground tank removal, air emissions permitting and modeling, and remediation cost estimating. Jennifer Parr is a licensed Professional Engineer in the State of Virginia with more than 20 years providing quality engineering support and analysis to commercial and government clients. Ms. Parr has been a principal engineer and managed a variety of environmental projects including Clean Air Act Title V emissions inventories and permitting, hazardous waste management, regulatory analysis and support, Phase I environmental assessments, fate and transport risk assessments, SARA Title III annual reporting, remedial programs estimating, and environmental compliance and management program assistance. She is the project leader for overall environmental compliance including air permitting, air emissions recordkeeping; stormwater permitting, monitoring, reporting, and training; hazardous waste management and reporting; chemical inventories and associated chemical reporting; and spill pollution and prevention analysis and plan preparation for one of the largest manufactured home manufacturing companies with over 60 manufacturing facilities nationwide.